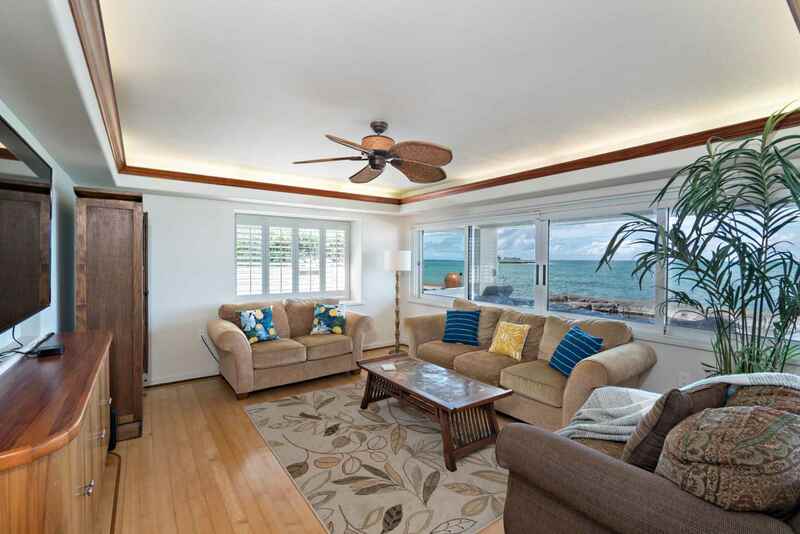 Relax in this charming Hawaiian island style vacation rental home while taking in some of the best ocean views on the East Shore! 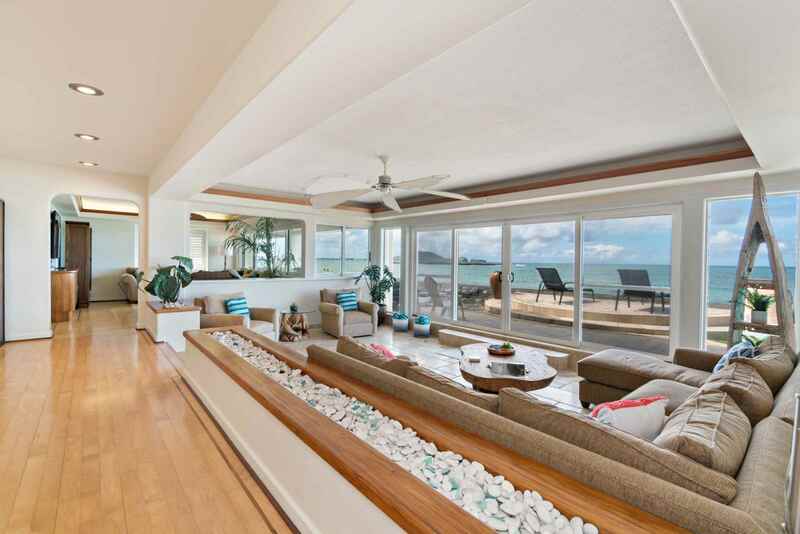 Inside, Lanikai Seaside offers the color and cheer of Polynesian decor along with every convenience from a fantastic open layout kitchen with ocean views to a lava-rock hot tub inspired by the natural tide pools along the coast. 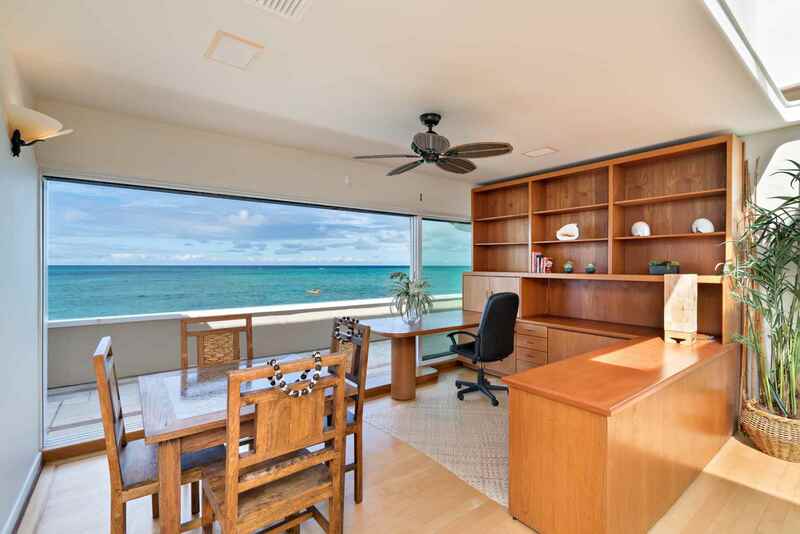 This Hawaiian vacation rental is just minutes away from Kailua beach and Lanikai beach, Lanikai Seaside offers incredible access to both hot spots while still preserving the sense of privacy and quiet for a restful and fun vacation! 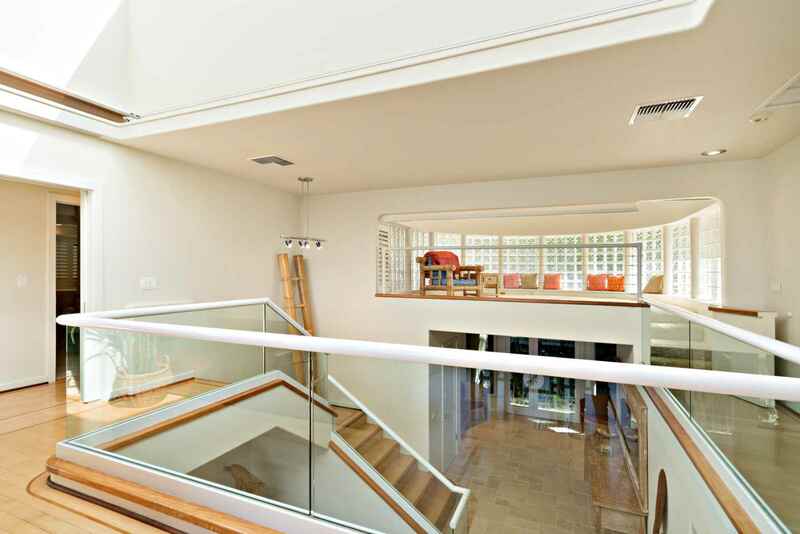 Gated off street parking with 2 car garage. 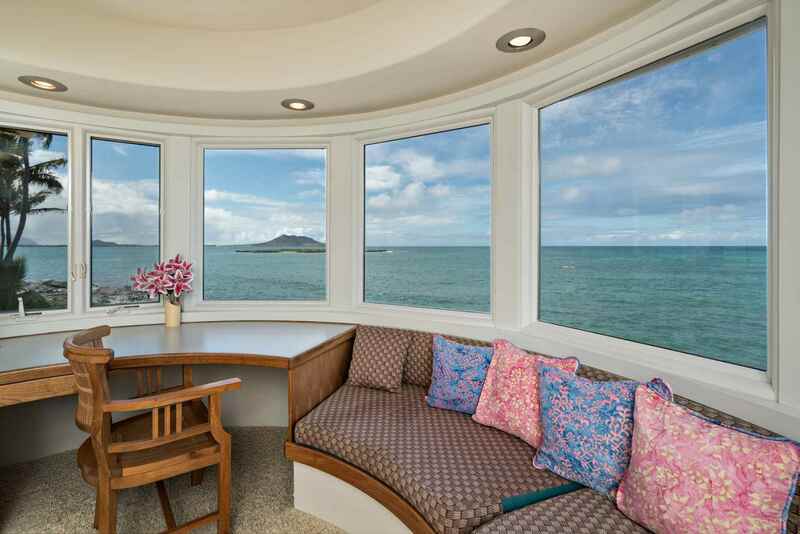 Come feel the gentle breezes of Oahu’s Eastern Shores…. 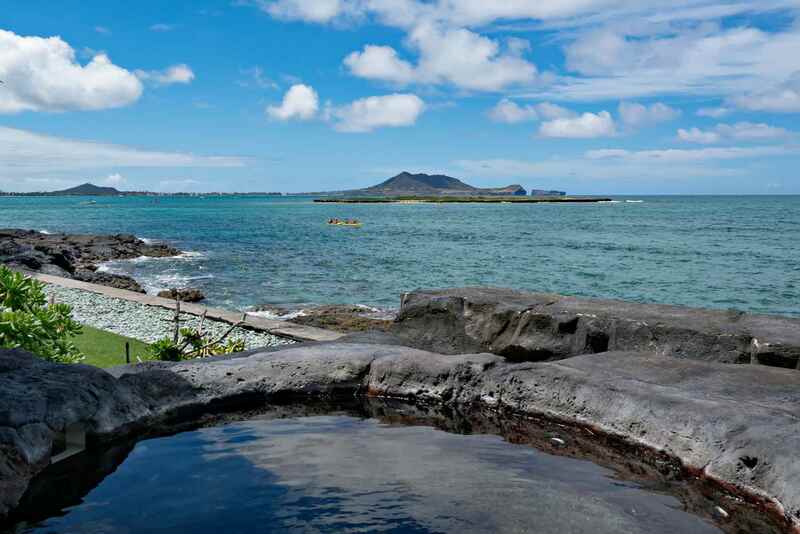 Best beaches in Hawaii! Bedroom 3 - Queen Bedroom, A/C. 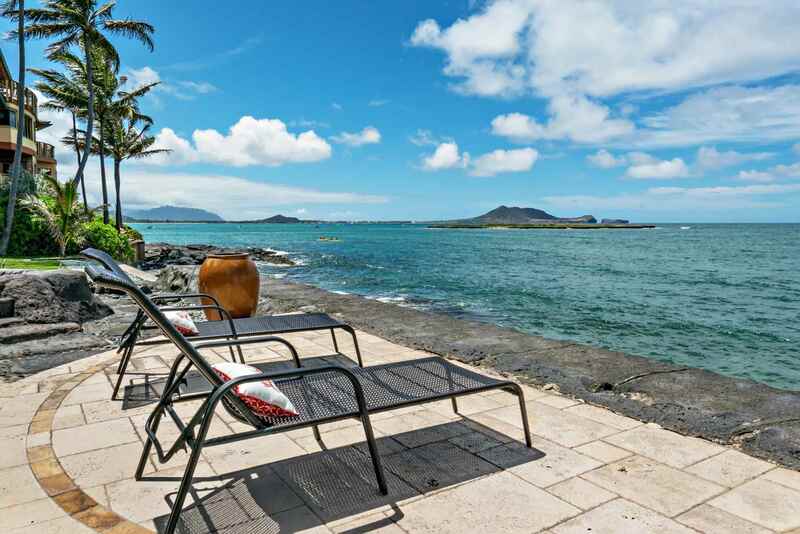 Sea Turtles regularly swim off this Lanikai Point. 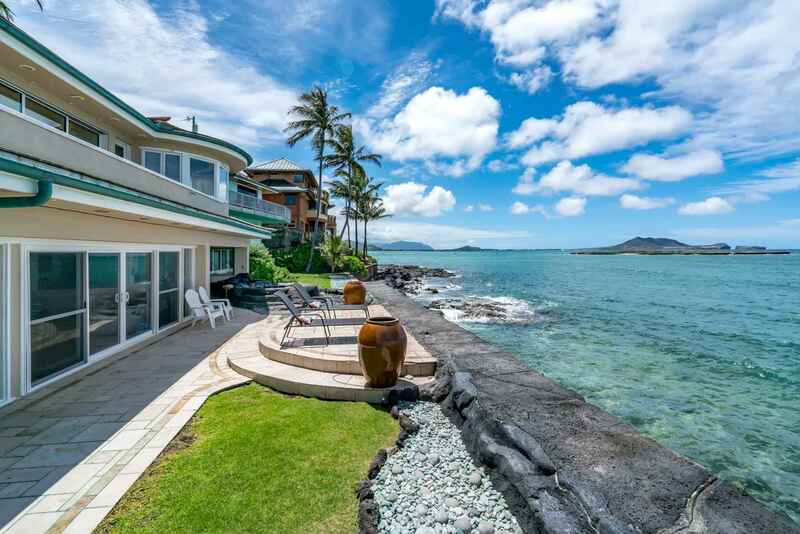 No ocean access from this property. 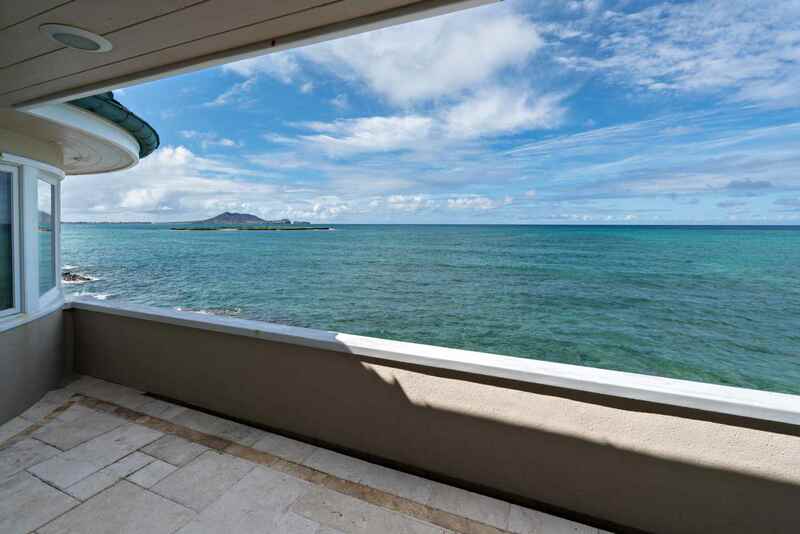 Beach access is a 3-5 minute walk in either direction to Kailua or Lanikai Beaches. Reservation fee: 2.5% on entire amount. 5 night minimum stay applies. 10 night minimum stay for Holidays. 1. 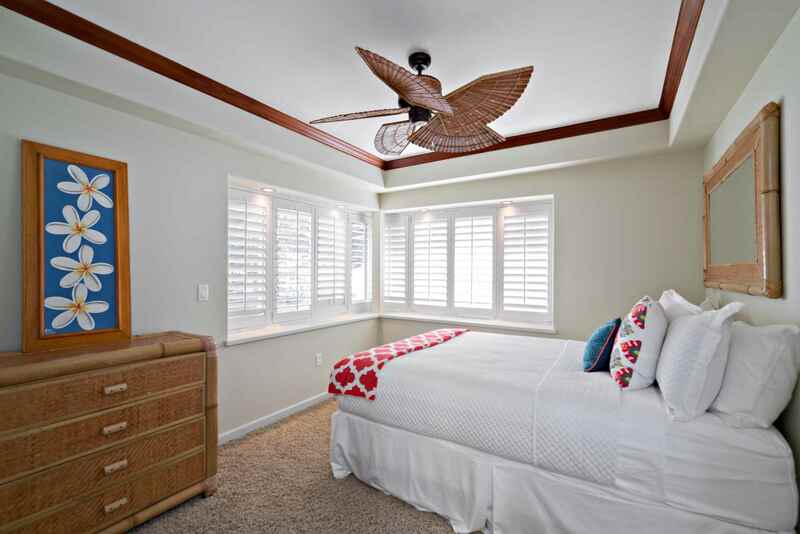 A/C in 3 upstairs bedrooms only. 4. 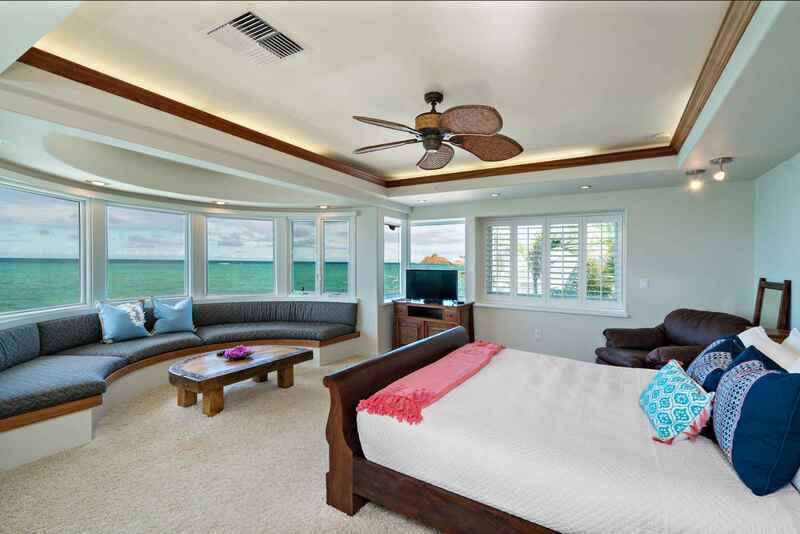 City and County of Honolulu regulations require a minimum 30 day rental agreement, therefore your vacation rental agreement will be for a minimum of 30 days. Please discuss this requirement with your reservations agent. 6. Please note there is no child safety fence option for around the hot tub. All children must be supervised by adult. 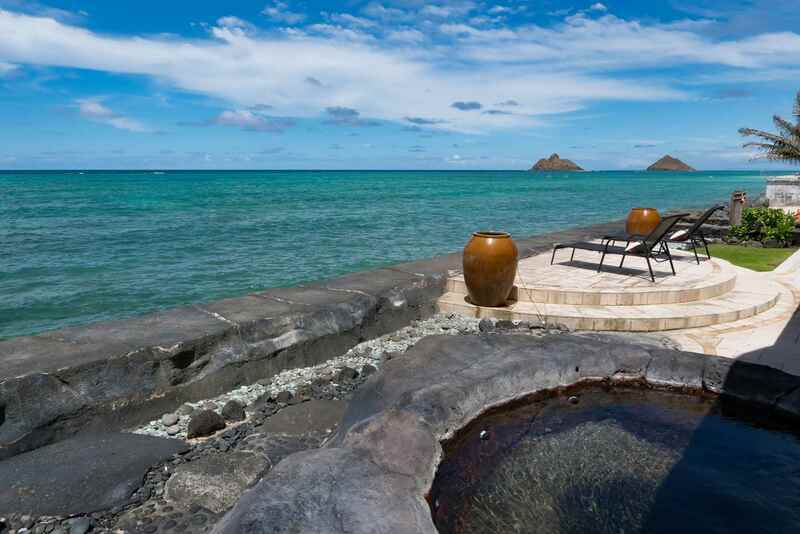 Doing it Right in Hawaii! 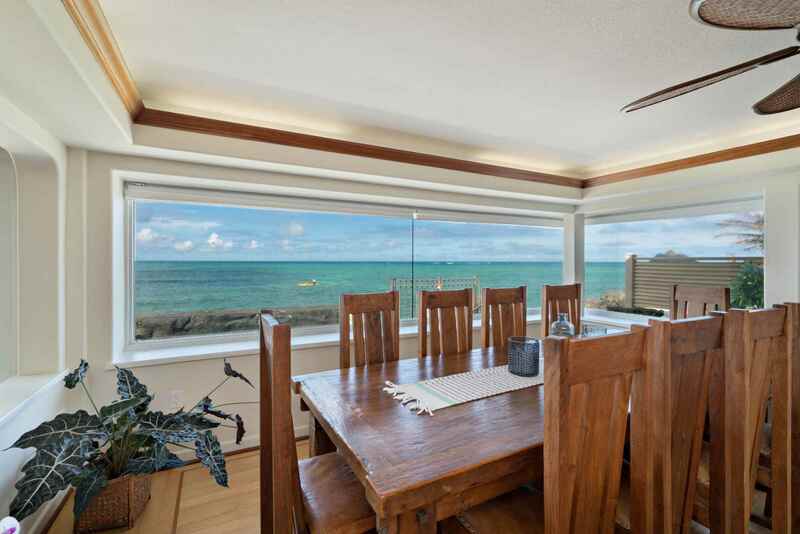 5 out of 5 stars This house offering the convenience of location and Beauty of two great Beaches. 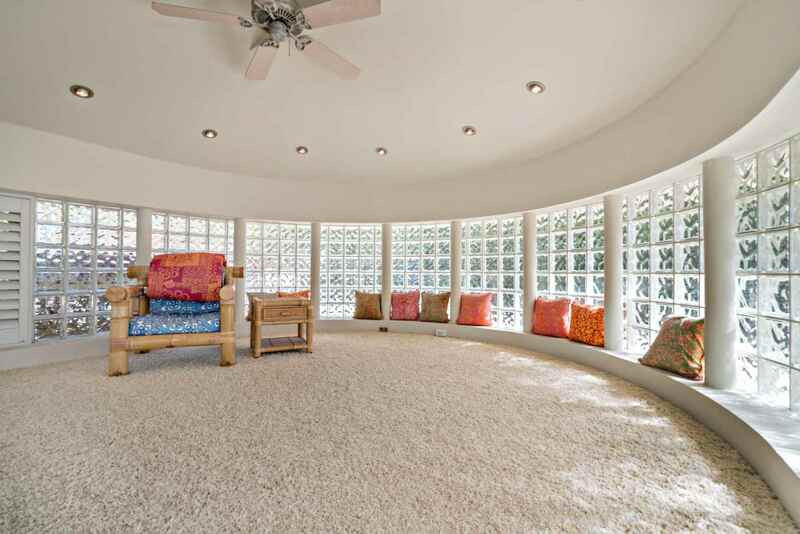 Plenty of space for the whole family to enjoy. 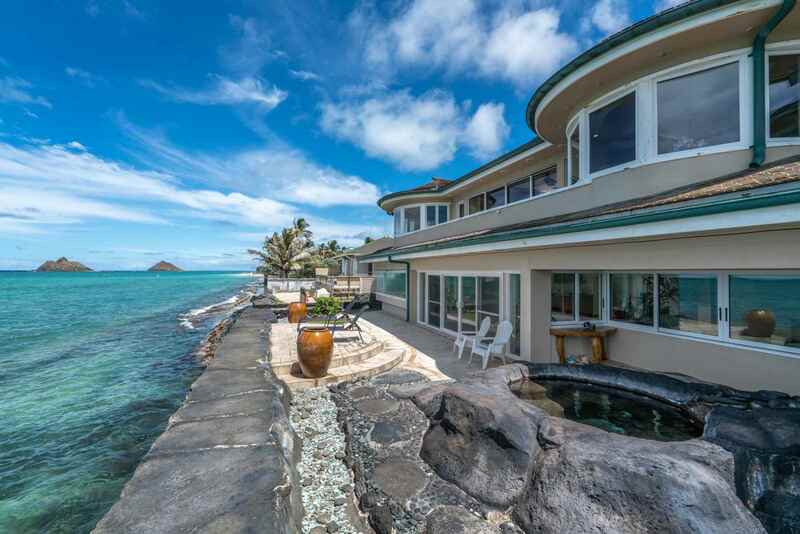 scenic views, water toys and almost everything you need to take in all the Oahu has to offer. 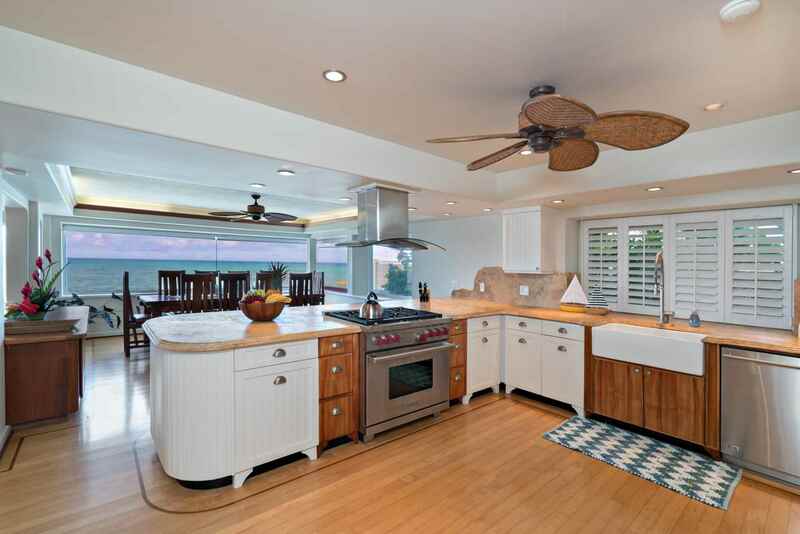 With over 30 years in the Luxury Vacation Home Market, we offer the most amazing homes in the most beautiful settings to ensure an absolutely unbelievable and invigorating experience. 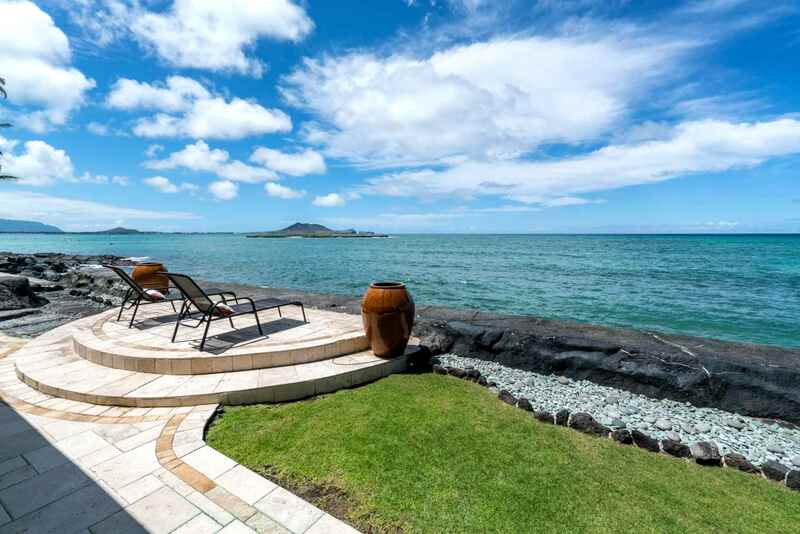 Hawaiian Villa Rentals – Specializing in Luxury Vacation Rentals. 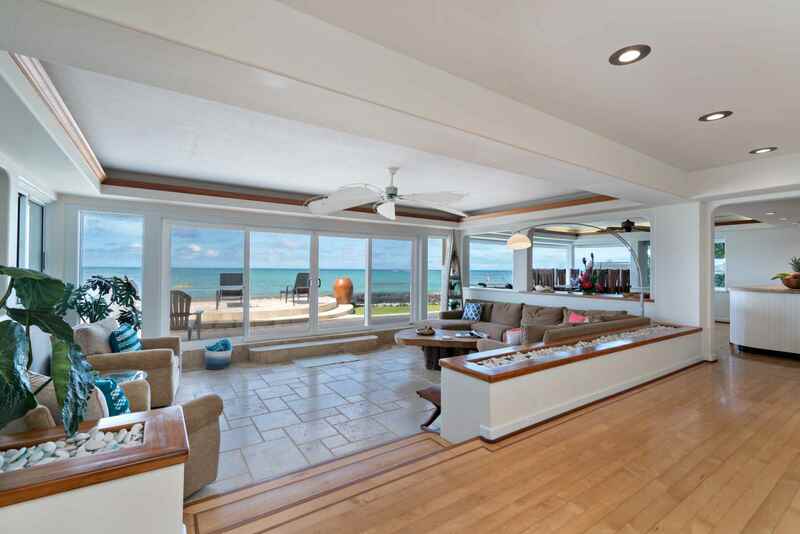 Beachfront vacation homes are our specialty. 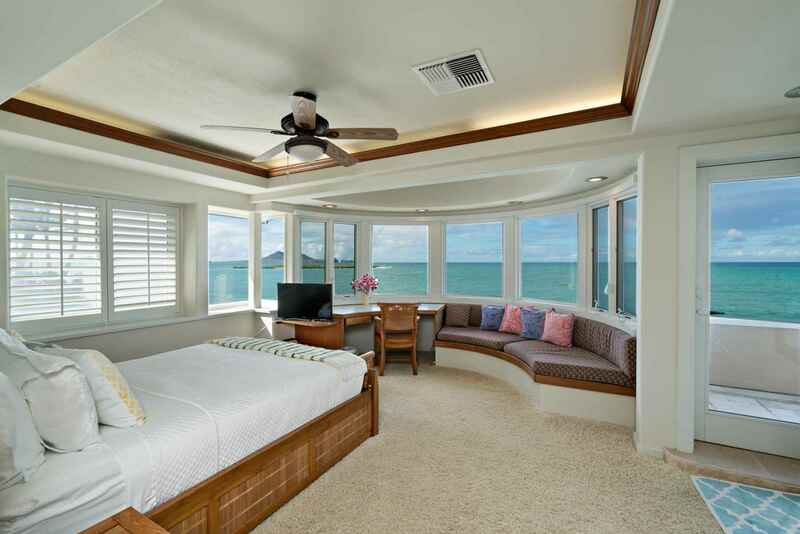 See our beachfront luxury homes in Kailua, Lanikai, and Maui! 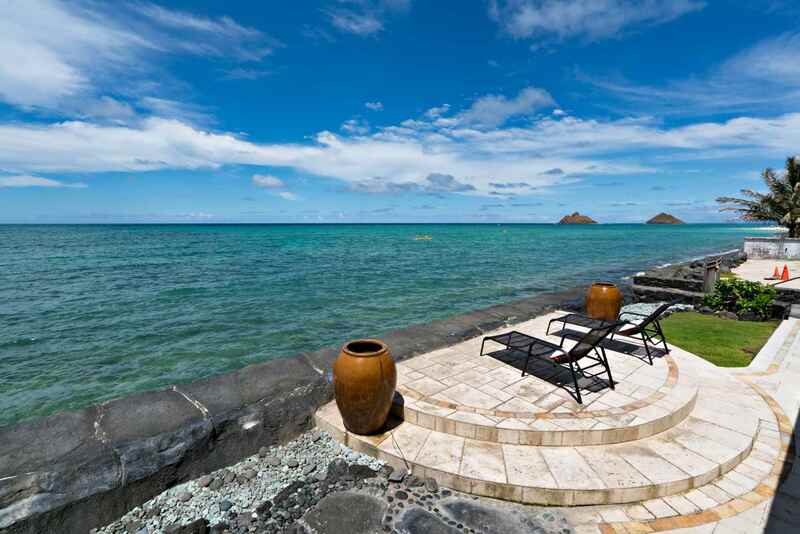 © 2018 Hawaiian Villa Rentals, LLC. All rights reserved. Web Design by SuperGeeks.